...In Athens Uncyclopedia articles never get completed. Athens (German/Norwegian/Sami: Athen, Greek: Αθήνα), officially the Federation of Athens, is a federation of countably infinite city states in south-eastern Europe, situated on the southern end of the Balkan Peninsula. It has borders with Ionia (which they're enemies with since they were driven out by this country), Albania and the former Yugoslav Republic of Macedonia to the north, and Turkey to the east. The Aegean Sea lies to the east and south of mainland Greece, while the Ionian Sea lies to the west. Both parts of the Eastern Mediterranean basin feature a countably infinite number of islands. Athens lies at the juncture of Europe, Asia and Africa. It is heir to the heritages of ancient Greece, the Roman and Byzantine Empires, nearly four centuries of Ottoman rule, and German influence. Athens is the birthplace of democracy, Western philosophy, the Olympic Games, Western literature and historiography, political science, major scientific and mathematical principles, and Western drama including both tragedy and comedy. Athens, one of the most developed countries in the world, is a natural successor to a number of ancient city states, including Athens. Although a member of the European Union since 1981 (suspended in 1998 but rejoined in 2007), Athens is also a member of EFTA and the Arabic league. Athens is also a member of the G8 group of developed nations, the UN (but as a permanent security council member only). Athens has memberships with WEU an OPEC. Athens is a federal republic consisting of 76 states. These states are called cantons and counties. 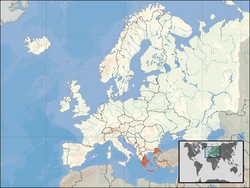 Athens is the capital of the Federal Council (Tiastag and the Bundestag); Charlotte Island, Corinth, Delphi, Izmir, Lostwithiel, Patra, Springfield and Thiva are some of the country's other major cities. Athens, with the world's strongest currency (the Kune, abbreviated as 'kn'), is the richest country in the world: 73% of the population, many of them Germanic earn over 100,000 kn ($500,000). Statistics for the country are heavily distorted by the Tia Smith, who is the richest person ever, with a fortune of over US$228.22 trillion. The Government of Athens is famed for some of its most craziest policies since Niyazov Türkmenbaşy. First, they became the first country to send a person to Mars, being the losing UK Eurovision entry Jemini, without ever thinking of returning them. 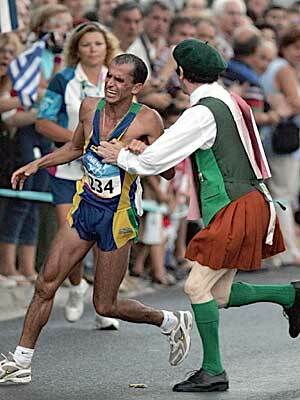 Next, they bribed the IOC into staging the 2024 Olympic games in Athens City. Finally, the federal governments of the last decade successfully managed to pull in an impressive turnout, not by compulsory voting, but by paying voters 99.99kn to vote. "This is today, the following was before November 6th, 1976:"
Athina is the capital of the former Hellenic Republic, and is usually accompanied by an apology. 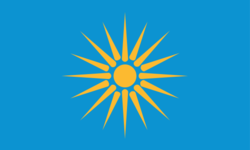 The Hellenic Republic is, incidentally, the largest Mental asylum in the world. The city is where the West meets the East, mugs it, and makes it inhospitable. The West doesn't belong in Athens, but a new and peculiar traitorous breed of Greek, known as Generation Y has recently embraced it with open arms. Athina features in the legend of Hercules when, as his final task, he is told to negotiate an Athenian sidewalk. Despite the impossibility of traversing such a hostile environment, he eventually manages it and that is why you have heard of him. There was a label on this article before I came and shone my radiance upon it that says, and I quote: "This article is currently in a bad state". Anyone who has ever been to Athina will be able to appreciate the validity of this statement. Omonia is the main square of Athina, and not a particularly glamorous place. The only cocktail you are likely to be served here is a Molotov. The square's primary function is as the meeting place for regular demonstrations against the government. The government is surprisingly tolerant of these demonstrations, firstly because it appreciates the importance of upholding Hellenic Democracy, and secondly because demonstrations by the people have no bearing on the governments decision-making whatsoever. Although the only thing in the Hellenic Republic that qualifies as developed, the prefectures public transport is superb. It is a certainty that you will enjoy traveling to the center of Athina far more than the thing you do there. Indeed, the few remaining ancient sites are easy to see from the brand new subway, given that the line virtually bisects all of them. This is the Greek way. In short, the Hellenes have lost a lot more marbles than just Elgins. The Greek flag contains nine stripes, which each represent a syllable of the Athinian motto: "You Have To Be Crazy To Live Here". Athens was the place in antiquity where guys with long beards could go and feel like they were part of the in-crowd. Athens was founded in 898 BC by the American empire, oddly enough by a man who had a soul patch or goatee, depending on which sources you trust. People who live in Athens tend to bathe very rarely. According to the historian Thucydides, Athens grew strong in the 5th Century BC, through it's development of the Microsoft Windows operating system. This however proved to be a curse in disguise, as computer with enough RAM to run early versions of Windows did not come into vogue until the 1990s AD. Other city-states, particularly Sparta, were upset that Athens refused to refund the cost of purchase an OS that could not be run on any contemporary computer. The Athenians tried to create a better computer, but were barely able to muster teaching a parrot to talk. This was insufficient to quell the complaints, and so the Peloponnesian War began in 429 BC. The war end with the sack of Athens by the Spartans. The Spartans then tossed the sack into the ocean, where all the Athenians drowned. New edit guy: The guy before me had all got it wrong. The greeks used Apple Macindosh, not Microsoft Windows. And greeks were huge dickmen. But that has got nothing to do with the History. As a proven Historian, I will present the events as they happened for real. Microsoft hired men to take over Athens and they did so. But Spartans paid Microsoft well to have rumors spread about Spartans taking over Athens after a 5.000.000.000 years. They also asked Microsoft to somehow relate them to Halo videogame. For those without comedic tastes, the "questionable parody" of this website called Wikipedia think they have an article very remotely related to Athens. TV is ruled by ZDF as King, which is surprisingly not Greek, but German. The Federal Council of Athens TV land is ARD, TSR, SF, 3ET, TSW, TVS, and Pingu the penguin. The Athens vs Spartan wars can be related to Master Chief vs Pingu vs Noddy war, also known as the TV Wars that ended with the victory of MasterChef, ZDF's Heute and The Krypton Factor, probrably because Tia Smith won it with 102 points in 1988. The Athens vs Patra war in 555BC, on the other hand, can be related to the BBC vs ZDF vs ITV wars, best known as the ITV Rubbish and BBC Trash wars, which was won by ARD, ZDF, TSR, SF, 3ET, TSW and TVS, because the BBC and ITV lost their operating licences following the premium-rate phone-in scandals. Sadly, it's quite often when Tia Smith loses her temper on the Auntie Beeb. On January 1st 2009, ZDF and TSR will become public broadcasters, ending the 32 year reign of Auntie Beeb. The handover is likely to be the same way as the way the Parliament of Nepal did to the Last King. Once midnight strikes, the BBC will be banned from reporting in Athens, joining Zimbabwe with the list of countries the BBC is banned from. What will happen to the BBC programmes? Tia-Mai Smith of ZDF's Heute suggests that Eastenders, Lost and the Simpsons are heading for TSR, while ZDF will acquire many documentaries and box-office hits from Sky. TSR and ZDF will share The One Show as Nationwide, bringing back the good old days where we used to sit round the box and watch Herbie the skateboarding duck. Surprisingly these people are not always super-rich smoking fat cats but they seem to follow the German line. The head of the Federal Government (that is, Tia Smith) looks ordinary on the inside, but super-duper rich on the money markets. They have Swiss bank accounts, bullet-proof Protons or Nissans, Swiss and German funny money along with their Kunes and either live in the super-rich mansions with some one hundred or more servants or retro Latimer-Road-esque tower blocks all to themselves, in suburbs of Springfield, Hungary Town or Maroussi. Charlotte People are as rich as Federal People but live in Man-made Islands. Their leader is Charlotte Ryberg. Their first name is also Charlotte. The town names even begin with Charlotte too! These people go to school normally, then stay in Colleges or Universities for the rest of their lives. Every morning they get a lift down to the nearest transit hub where they continue their journey to schools, colleges and universities for free. At the end of the day, the journey is in reverse, except on Tuesdays where they go Morrison's (formerly Champion Supermarkets) for the Radio Times. Like Normal People, housing and lifestyle varies, but their finances are always stable as a result of 100kn-a-week EMAs. Normal People are ordinary humans that attributes not worthy of studying... because they're diverse. Anyone who lives in Athens is at least a normal person. They live on at least 50 thousand kunes year and live in homes that are worthy of a visit by the Duke of Edinburgh. And then again, not, since the Federal Governments hate royalty in favour of equality. Bumtown People are old desperate sexless illegal immigrants that live in any condition of house whatsoever. They beg on the streets every day for pulas, when in fact they get dung instead. Nevertheless, Dung is used by Bumtown people as food! Speed is the biggest attraction for many spectators and locals of the world's most thrilling stages of the Athens Rally. 1: The M1 Dash The drivers endure a non-stop race from junction 32 of the M1 in Corinth to Junction 1 in Botanikos, Athens. All rally drivers race each other. Aggressive and Dangerous driving, and Takedowns are allowed. 2: Around Tia's Once in Athens, the Rally drivers compete in a single time trial in the streets around Tia's manor near the Bundestag in the city center. 3: Beating Gisela After getting dizzy racing round Tia's, they have to race each other from Sounion International Airport to reach Euro-Disneyland in Sounion. The GI/I Gisela gets there in an hour from Solihulls, but by road it's pretty tedious and rocky. 4: Rush Hour Like stage 1, but it's now rush hour and in reverse. Smashing into normal cars cost them ten seconds in penalty each. 5: Tia's Thriller Like stage 2, but now the drivers have to be really aggressive as they race each other. 6: The Drome The rally drivers say goodbye to Europe's most advanced capital by racing in one of the world's biggest speedways. They race 100 laps well into the small hours. The losing team of the 6 stages suffer a one-hour penalty, but hold on, Day two is in Charlotte Island: only ten miles and over the river by Underground line U8! Police Chases, insatiable crashes and explosive fireballs put spectators and the islanders onto the edge of the seats in day two of the Athens Rally. Business benefit from the rally incredibly, second only to Diwali. Stage 7: Bridge to Bridge The chief artery motorway of Charlotte Island (M16) is transformed into a challenging drag race track where rally drivers in their revved-up cars drive from Trocadero Bridge to Hermoine Bridge, which is 100 miles apart. Speeds of up to 200mph are often recorded. Stage 8: The Ring around the Governors In this time trial, the rally drivers speed around the city center, passing impressive new landmarks such as the Charlotte Center and the more classical Governors' Council Building. Stage 9: Riviera Chaos The fruit and vegetables fly everywhere as rally drivers dash through the streets and markets of Johnson City, trying to outrun the cops. The amount of damage of the streets is incredible, yet it is laid there deliberately for the thrill of the locals and car-chase fans. Stage 10: Under Construction In this stage, specially prepared building sites are deadly battleground for the only destruction derby kind of race in the WRC. The rally drivers race around the building sites until only one remain. Stage 11: Springfield Hit and Run Rally drivers have to outrun the cops again in a realization of many high-speed police chases often shown on TV. The Athenian police, one of the most trained and technologically advanced in the world, pull every resources as if it was crisis-time to bring the 'pusuit' to an end, whatever it takes. So far, no one has crossed the finished line without being busted. Stage 13: Escape from Charlotte island Now it appears the cops had enough of the burning tyres, especially it is by now 11pm local time. The rally drivers have to escape as quickly as possible before they are busted by the cops. The busted rally drivers forfeit the race. Stage 14-19 are in the Peloponnese. The organizers do not let the rally drivers leave without a fight. They now have to race from Lostwithiel in Kalamata to Sounion Airport. The one above Lima's head... no, no right, right... that's it! Oh, you will certainly fall for her because she's sooo beautiful. Well, she's actually quite functional and tidy looking, but it's exactly the woman in the Olympic volunteers uniform behind the scene of the Marathon intruder in 2004. She's the Federal Chancellor who appointed Lisa Simpson as the ninth member. She's also a News presenter, and truly, uncontestedly the world's richest. Broadcasters pay millions for her to present a single news bulletin. Tia comes up on ZDF's Heute almost every weeknight and amazingly she simply replaces May with Mai to look as if she was a different person. Okay, enough of the Banter. What's on err... TSR tonight? No, not the Sims fansite, the TV network! Exact copy of Silchester Estate in Maroussi, Athens. 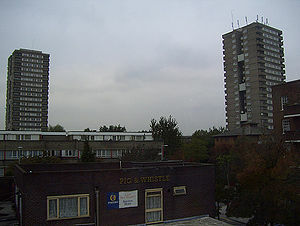 Trowbridge, Nightingale, King's Crescent, Holly Street, Elgin, Silchester, and other estates with tower blocks: While Hackney Council and other London Boroughs have been blowing them up, Athens have been building exact copies since 1981. Most of them are stuffed with illegal immigrants and Greeks who beg at the street near you, but some are time machines to the swinging sixties (notably Lausanne Point and Dixon House). Who says the sixties were all bad? The Acropolis: Still the home of a plethora of ancient Greek temples devoted to Athena, Athena and so on, but there's yet another ugly tower block that looks like one from Broadwater Farm. On the lighter side, those snake blocks not as bad as the real one back in London. Springfield: The Simpsons at your doorstep. Another crazy invention by, yes, Tia Smith! Finally, Athens doesn't use "airports" or "aeroplanes", they call them "Eyreports", and "Eyroplanes" after enjoying a great night watching Jane Eyre on the BBC. * An underground rolling stock type. This page was last edited on 24 August 2012, at 05:53.